How does an SSD solid state drive work? Recently we added our managed SSD VPS to our services; in part one of our series of posts about SOLID STATE DRIVES, we’re exploring the basics, how does an SSD work? A solid-state drive (SSD) works uses semiconductor chips to store data instead of magnetic media. Since a computer already has chips, the motherboard contains the RAM memory where the memory and information is stored. This is referred to as volatile memory since as soon as the computer loses power the memory is going to evaporate. The chips that are in a solid-state drive are known as non-volatile memory meaning that a person could access the data even without power. Furthermore, replacing a solid-state drive is easy since the chips are located on another part of the computer and they don’t affect any other components in the computer. Simple memory (RAM) is a fleeting kind of memory and it just requires power to do its job. However, storage holds all of the digital files, and it retains everything even when the power is off. Since some storage devices are referred to as flash memory, the line between RAM and storage can be blurred. Flash memory has the capacity to holds lots of information, but it can do it with the power off or on. In addition, flash memory has no mechanical parts. It’s only devices that have semiconductor properties that they’re called solid state. There are also two types of flash memory: NAND and NOR. Both contain cells in a grid, but they are wired differently for different performance. So a solid-state drive is a flash drive that uses NAND flash and it also has rewritable memory. Get instant access to KnownHosts shared cloud hosting with premium features built in. HELLO! yes everyone should consider a backup drive since most hard drive disks do fail eventually. HDDs drives do fail more frequently than people like to admit. 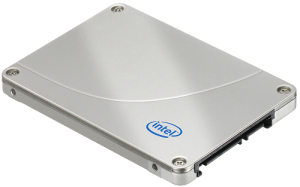 Speed is also an important factor to consider when comparing solid-state drives to HDDs. Since solid-state drives can access data more quickly, it makes the computer faster since it can access the data and the files more quickly. Even a casual user will notice the difference of performance in the computer when they use an SSD. But it is the game designers and animators that were the early adopters of SDDs since they save time when reading large files. In addition, SDDs use less power than traditional hard drives, staying cooler and preserving battery life. Another advantage is that they’re quiet since they don’t have any of the whirring and clicking that is associated with traditional hard drives. In part 2 we dive deep into the advantages of SSDs over HDDs, so if you’re not convinced yet, you will be!